← The World is Coming to an End, Again! I received a short email (at bottom) asking that we pray for Israel. Rather innocuous enough, right? Why not pray for the peace of a nation constantly embroiled in conflict, and opposed on all sides by the many who want to drive them into the sea? Clearly, there’s great value in praying for peace. Jesus is the Prince of Peace! However, as I began to contemplate the root of this simple prayer, I was plagued with the following question. Why is it that we are consistently encouraged to single out this particular nation, often at the exclusion of other strife-laden lands? All sorts of war-torn and/or poverty-stricken nations come to mind that need God’s grace and peace. So what is it about the modern day nation of Israel that deserves this kind of special attention? Does God still have a unique purpose for this tiny land now inhabited by a people whom many Christians still believe are living under a divine mandate? Having said that, I don’t believe it’s morally justified for those who have been so severely persecuted to vindicate themselves by committing atrocities on a similarly vulnerable people i.e. the indigenous Palestinians. The truth is that bigotry and ethnic cleansing should be abhorred no matter who the perpetrator is. I believe it’s racist to favor one people group over others regardless of the group’s composition. Let me be clear at this point. I love the Israelis. I visited Israel in 2000 and found the people to be quite industrious and engaging. But to be quite frank, I also love the Arabs, the Brits, and my postal carrier. Aren’t Christians supposed to love ALL people without prejudice? So please, before you castigate me with racially-charged rhetoric and mischaracterize my probing, consider what “pray for Israel” implies. I have found the constant cry of anti-Semitism to be a faulty but rather effective defense mechanism shielding this necessary discussion from objective conversation while summarily insulating Israel from even the slightest bit of criticism. So, don’t you think it’s at least reasonable to ask if the New Covenant, in fact, sanctions the exaltation of one nation, Israel, above all other nations? In other words, is God partial to those of one genetic predisposition over those of another fleshly lineage? Some might answer that question affirmatively, but I believe they would be ignoring the bulk of the New Testament writings. I’ll deal with this matter Biblically in a moment. As I further contemplated this whole notion, it dawned on me that I hadn’t received similar prayer requests for the plight of other nations. Darfur and Sudan immediately come to mind. So, since the majority of Israel’s citizenry blatantly rejects Jesus Christ, why specifically should we pray for this secular nation? Yes, of course, I believe we should pray for the salvation and peaceful estate of everyone who resides within its borders, especially since unrest has become a way of life. And surely we should abhor all violence and decry acts of barbarism. However, that’s really not the intent of my question. I’m speaking strictly of the special treatment afforded one nation, Israel. Israel is a completely secularized society with little interest in God and an outright aversion to Jesus Christ. So why do some expect God to bless those who bless Israel (Gen 12:3), if they reject and abhor “The Way, the Truth and the Life”? If Jesus was enamored with sacred bloodlines, why then did He tell Nicodemus, a devout Jew, that must be “born again”? (John 3:3) or he “cannot see the Kingdom of God.” And why did John the Baptist tell the Jewish religious elite that God could manufacture children of Abraham out of stones? (Matt 3:9) This passage doesn’t speak about the restoration or regathering of the Jews according to the flesh. Quite the contrary. John foretells of the wrath that was “about to come” upon this wicked and adulterous generation. So in the New Covenant, if to God, ethnic origin is of no consequence, what therefore is the allure of favoring modern-day Israel? Talmudic Judaism is vehemently opposed to the Gospel of Jesus Christ. At this point, it should be noted that the “Anti-Missionary” law conspicuously passed during Christmas week on December 27, 1977. Although it remains legal in Israel for a Christian to talk with an Israeli about Christ, it is a crime punishable by up to 5 years in prison to attempt to convert an Israeli to Christianity by use of any material inducement. If a Christian gives even a gospel leaflet to an Israeli, he violates this law. Also, if the Israeli converts to Christianity after receiving the leaflet he himself could face 3 years in prison. So the question remains. Should a nation which enacts such laws, be considered a brother in the New Covenant simply because they share thousands of years of pre-Christ heritage? Once again let me ask why should we not also specifically pray for nations other than Israel such as South Korea, which are experiencing major revival and are also sandwiched by evil on all sides? Has anyone ever suggested that we pray for South Korea? I don’t mean to sound obtuse, but why do we constantly sanctify the modern nation of Israel as though they are the apple of God’s eye? The truth is that they are just like every other godless nation that needs Jesus Christ. According to Scripture, they no longer enjoy any privileged status nor do they maintain any divine right to the land in which they currently reside. And if you think they do, please watch the video below. Are you aware that there’s not one New Testament verse that speaks of a Holy Land? Quite the contrary. Jesus, when he was speaking to the Samaritan woman at the well made it clear that physical locale was being rendered totally insignificant. This is powerful and it must not be missed. Did you catch that? Neither on Mount Gerizim or in Jerusalem! Why? Because the worship of God was no longer going to be confined to temples made by human hands. On May 14, 1948, those who identified themselves as Jews were given the land by U.N. mandate. But, regarding that piece of real estate, there’s a dirty little secret that no one seems to talk about. There were people living in the land at the time. And a whole lot of them. It wasn’t just barren desert as it has been portrayed. Yet, how many times have you heard it said, “A people without a land, and a land without a people”? The implication? The land was vacant. That’s simply not true. Do you realize how important it is to recognize that fact? During the past 63 years, it’s an understatement to say that those Arab and Christian inhabitants of the land of Palestine have been severely persecuted. In the process of the “regathering”, close to a million Palestinian refugees have been created. Many were killed. Villages were bulldozed to the ground. Land was confiscated, and illegal Jewish settlements have continued construction on land acquired through war. You simply cannot imagine the horror. 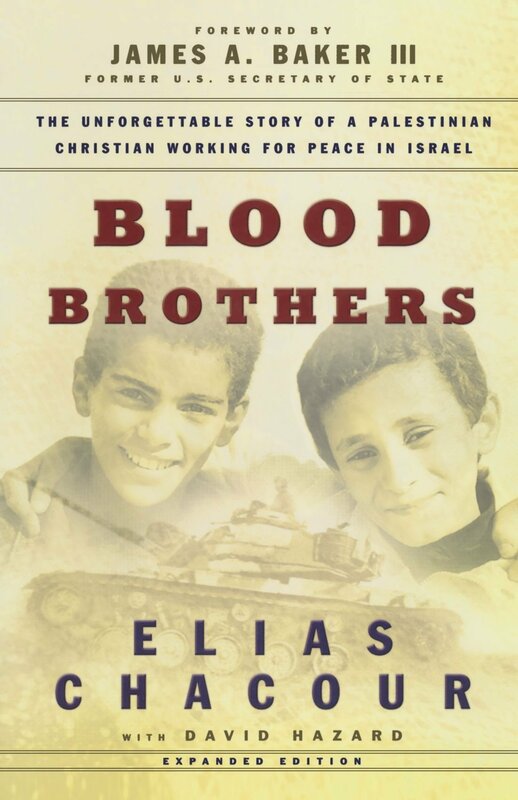 All of this is detailed in one of the best books I have ever read, Elias Chacour’s Blood Brothers. (You cannot read this book without it severely altering your paradigm). Please know that although Elias Chacour (a very young Palestinian Christian when his father’s land was stolen in 1948) is not a bitter man. And he isn’t seeking retribution nor is he motivated by revenge. He simply desires to foment peace. And interestingly enough, this man was voted Israeli man of the year in 2002. So is there any surprise that the indigenousness Palestinian people who resided in the land prior to the tanks rolling in, in 1948, might not appreciate the outright confiscation of their land. Should there be any wonder why their constantly degrading socio-economic circumstances might cause some of them to lash out in barbaric ways? Does any reaction warrant suicide bombings or other forms of terrorism? Of course not, but have you ever considered what might motivate a person to do such an evil thing? If you put a boot on a man’s throat and hold him down for a prolonged period of time, would it later surprise you if he reacted? On the surface, “Pray for Israel” seems rather innocuous enough. Surely Christians ought to care about peace. But have you ever wondered what kind of a message this sends to the billion or so Arabs that surround them? Were the Arabs born on the wrong side of the tracks? Are they doomed simply because they have the wrong genetic predisposition? When was the last time someone said, “Pray for Iran” or “Pray for Syria”? I believe the underlying and insidious message we’re sending to the rest of the world (especially the Arab world) is one of favoritism based solely on a what I believe is a misperceived birthright. So let me ask again. Where we get this precedent of singling out Israel? Did you now that there is no Jewish race? In “Who Are the Modern Jews“, Scott Stinson quotes none other than the Jewish Encyclopedia for that answer. It states, “The question whether the Jews of today are in the main descended from the Jews of Bible times, and from them alone, is still undecided”. I found this to be a rather startling admission from a source that can hardly be accused of anti-Semitism. The Jewish Encyclopedia further explains. “Some anthropologists are inclined to associate the racial origins of the Jews, not with the Semites, whose language they adopted, but with the Armenians and Hittites of Mesopotamia, whose broad skulls and curved noses they appear to have inherited” (Jew. Enc. X (1905), 284). Contrary to the opinions of many Christians, I believe these things have been clearly documented. Blasphemy, you say? (Let it be said that this is NOT intended as an indictment to those who currently reside in modern day Israel. I am simply attempting to establish the fact that few Jews living in Israel are In Israel are of Abrahamic lineage. Not since the AD 70 Diaspora when 1.1 million Jews died in the wake of the Roman siege, was national Israel vital. And those who survived this first-century holocaust (according to Jesus brought about by their rejection of HIM) were assimilated into the surrounding cultures/nations. Today, there are no priests. There is no temple and God will never allow it to be rebuilt since it would stand as an abomination to Jesus’ once-for-all perfect sacrifice. (Heb 9:11-28) And there are no genealogical records documenting racial origin. For good reason, they were forever destroyed in the war. Everything was summarily destroyed by God as He avenged the murder of His Son (Matthew 23:36; Matthew 22:6-7). And from the cross forward, the only true children of Abraham are those born of faith in Jesus Christ. (Gal 3:6-9; Rom 9:6-8) It has nothing whatsoever to do with bloodline. The ax was at the root of Israel’s tree in AD 27 (Matthew 3:7-12) and it was about to be cut down and thrown into the unquenchable fire, never to rise again. Jesus Christ is THE Israel of God. He is THE seed of Abraham (Gal 3:16). Only those born from above (John 1:12) are “In Christ” and therefore children of Abraham according to promise (Gal 3:29). The gates of the Kingdom have been opened wide for people of all cultures and nationalities. There is neither Jew nor Greek in the New Covenant (Gal 3:28). The dividing wall of separation has been forever demolished. I hate terrorism, and there should be no doubt in any Christian’s mind that Islam is a religion that opposes Jesus Christ. But so does Talmudic Judaism! They, Israeli and Arab, both need Christ, so why pray specifically and single-mindedly for the peace of Israel (at the exclusion of the Arab population) when the Israelis are oppressing a people (the Palestinians) who live within their borders? Why are Christians not encouraged to pray for the peace and safety of the heavily persecuted Palestinian Christians? This is a sad mystery. In the end, this obsession with Israel has become very disconcerting. Many people become so emotionally charged that reason is kicked to the curb. Why not pray for the peace of the whole world? Why not pray for a race-blind world where the Gospel is free to proliferate without ethnically imposed restrictions? Once we remove the racial barriers sequestering the Gospel from the entire Arab world, who knows what may happen. The way to defeat Islam is not to nuke their countries but to convert its adherents. But unfortunately, under the current climate, the Muslims won’t hear the message of Christ because a Biblically sanctioned bigotry drones the Gospel’s clarity. Although the only path to peace is through Jesus Christ, the only way to Christ is through an unobstructed message. I believe a pervading ignorance of that which took place pre-1948, fuels a misdirected blame for the current Middle East circumstances. I abhor all violence, but to ignore the atrocities committed against the indigenous Palestinian population, at least 10% of whom were Christians, is to fight a battle blind-folded. I recently watched a video of a Jewish Rabbi who was filled with aspirations of peace. As he was decrying violence he made a rather poignant statement. Basically, he asked, “How can we who know the severity of suffering (referring to the holocaust) if we don’t recognize the suffering of others? We, above all, he said, ought to be the most cognizant of oppression and abuse. 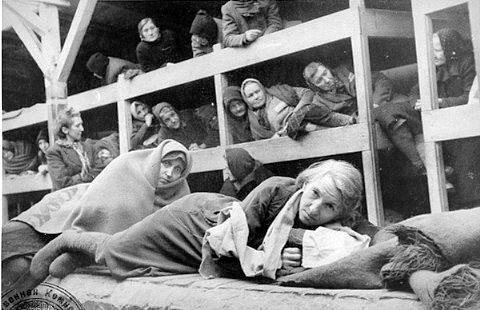 They cannot right the wrong of the Holocaust by doing the same to others. In closing, let me make it clear that I believe in Israel’s right to self-determination and self-defense regardless of the past. However, not at the expense of innocent people. Because, in the process, the rage emanating from the innocent (63 years of oppression), foments the cycle of violence while radicalizing a whole new generation. And the beat goes on. I believe we must acknowledge the past before we can move forward. If you still feel compelled to pray for Israel, please also pray for Palestinian people. No, that doesn’t mean we are under obligation to condone the actions of Hamas or Hezbollah or side with those who desire to drive Israel into the sea. It simply means that we are champions of those who cannot speak for themselves. It means that we are peacemakers and it means that we love Jesus Christ. The solutions to these very serious and vexing problems are solidly within our grasp. The Prince of Peace, through His redemptive blood, can and will one day tear down the walls that separate us. The answers are within the bounds of Scripture. In the New Covenant, race should NEVER be a motivating factor. The dividing wall of separation has been eternally torn down. So in the future, let’s pray for the peace of ALL, knowing that ONLY the Gospel can bring both vertical (between God & us) and horizontal (between each of us) peace. 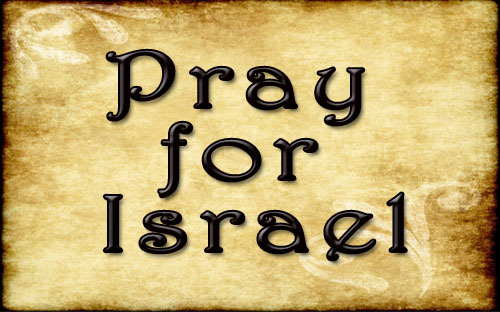 5 Responses to Pray for Israel? – What about the Palestinians, the Sudanese and/or the Canadians? Excellent article Chuck! You hit the nail on the head, and I hope that our Christian brethren will stop and think about the ideas that you have presented here. Thanks, Bryan, you obviously have a rather keen eye for identifying truth. LoL No, seriously, I really do appreciate your comments. It seems that, to even question the exaltation of the nation of Israel above all nations, immediately precipitates accusations of antisemitism. And that breaks my heart because I have some wonderful Jewish friends whom I respect a great deal. They need Christ no less than the Muslims and the Hindu's. Bryan, to be rather transparent, I find this issue rather perplexing, somewhat mystifying and incredibly frustrating. The majority of Christendom rarely spends significant time in the Old Testament (which I prefer to call the first testament because "old" connotates a lesser value), yet all of the Bible passages used to support the "pray for Israel" mantra, are found in the First Testament. There's not one Second Testament verse exhorting us to place Israel on a pedestal, especially given their current state of apostasy. Matter of fact, it's quite the opposite. My prayer is that, to a much greater degree, the body of Christ begins to recognize the race-blind nature of the New Covenant and therefore frees the Gospel to penetrate regions where Christianity has enjoyed very little impact. Your statement about "old testament covenant" and rabbinic judaism is incorrect, though a minor point in relation to your blog. Rabbinic judaism rose as a result of the Diaspora. The Old Testament covenant includes occupation of Zion and Temple Worship. Rabbinic Judaism is centered around worship in synagogues. Rabbinic Judaism and especially Orthodox Judaism centers around the Talmud. It is this form of life through legalism that Christ railed against and died to free us from. So, yeah, Pray for Israel that she be turned from a life of legalism and bigotry and embraces the truth of God's love for all mankind. plbuster, thanks for weighing in. I always appreciate being challenged. You wrote, "Your statement about 'Old Testament Covenant' and Rabbinic Judaism is incorrect…", is a bit puzzling. 🙂 My comment, "Old Covenant Rabbinic Judaism" was with regard to the religious practices of Jesus' day as opposed to the Talmudic Judaism that arose well after the final Diaspora in 70 AD when the Old Covenant was forever destroyed. The Old Covenant, the Temple, The Priesthood and the nation passed away in 70, never to be heard from again. And as you say, "It is this form of life through legalism that Christ railed against and died to free us from." Amen! To your comment, "So, yeah, Pray for Israel that she be turned from a life of legalism and bigotry and embraces the truth of God's love for all mankind", I would simply modify it to replace "Israel" with "All nations." I pray as you do for the salvation of those currently occupying Israel, but also for the citizens of Iran, India, China and every other nation. I received the following comment from Bryan (57chevypreterist) regarding his reposting of this article on Facebook. "So I posted links to your blog article above and also to the other article you posted on a "conservative", fellow Christian's Facebook page in response to her post about Glenn Beck and Israel, and was immediately defriended and blocked. I guess I should not be surprised at close-minded Christians. "SHAME ON YOU AND YOU ARE NO LONGER WELCOME ON THIS PAGE! YOU NEED TO READ A BIBLE! THE CURSE OF GOD WILL BE UPON YOU FOR GOING AGAINST ISRAEL AND HER PEOPLE! SHAME! YOU KNOW NOTHING BUT BRAINWASHING FROM THE RADICAL HATE MONGERS AND THAT IS WHAT KILLED SO MANY WONDERFUL MINDS AND INNOCENT SOULS! PEOPLE LIKE YOU DISGUST ME!" 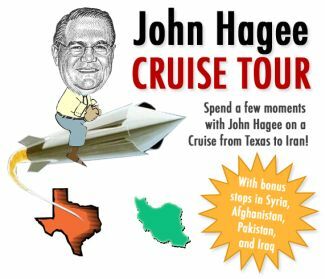 To my dismay, this kind of viscerally emanating revulsion is not all that atypical within the Christian community. The truth is that people have every right to disagree with me and they should if they have what they believe are Biblical grounds. However, instead of keeping the war on the exegetical battlefield of the Bible, they often digress to a path of this kind of inflammatory, toxic rhetoric. Is there any wonder why the Muslim world hates Christ? They've never peered into eyes of the real Jesus. All they see is a Jesus who hates them because of their genetic predisposition. Hal Lindsey and Tim LaHaye's Dispensationalism has unwittingly birthed an entire generation of bigots. And there are mega-millions of these indoctrinated souls walking among us. Clearly, they believe they're following God's Word, but that doesn't mean their theology is any the less deleterious to the Gospel's proliferation. All we can do is to respectfully share the truth of Scripture and pray for those who oppose the freedom of the Gospel. Have none of these vitriolic types learned anything from Jesus' conversation with the woman at the well? On every level this should teach of something. A woman. Perhaps even a prostitute. And surely a despised Samaritan. In Jesus' day, this combination was anathema. To the Jews, the Samaritans weren't even considered human. Even in the earliest times of Jesus' ministry, He was already sending a rather clear message as to how this unseen New Covenant Kingdom would expand to "all the world" i.e. Jew & Gentile alike. In Christ, 2,000 years ago, the dividing wall of separation was forever torn down, so why do we attempt to rebuild it? Indeed, Bryan, we have a very long way to go.